BCAA Blend (L-Leucine, L-Isoleucine, L-Valine, Emulsifier: Soy Lecithin), Acids (Citric Acid, Malic Acid, Tartaric Acid), Flavourings, Yeast (Saccharomyces cerevisiae) Beta-Glucans (Wellmune), Rhodiola rosea Root Extract, Anti-Caking Agents (Silicon Dioxide, Calcium Silicate), Sodium Chloride, Colour (Beetroot Red), Potassium Chloride, Magnesium Oxide, Sweetener (Sucralose), L-Ascorbic Acid. Optimum Nutrition BCAA Strawberry Kiwi is rated 5.0 out of 5 by 1. Rated 5 out of 5 by Ray17 from Amazing! 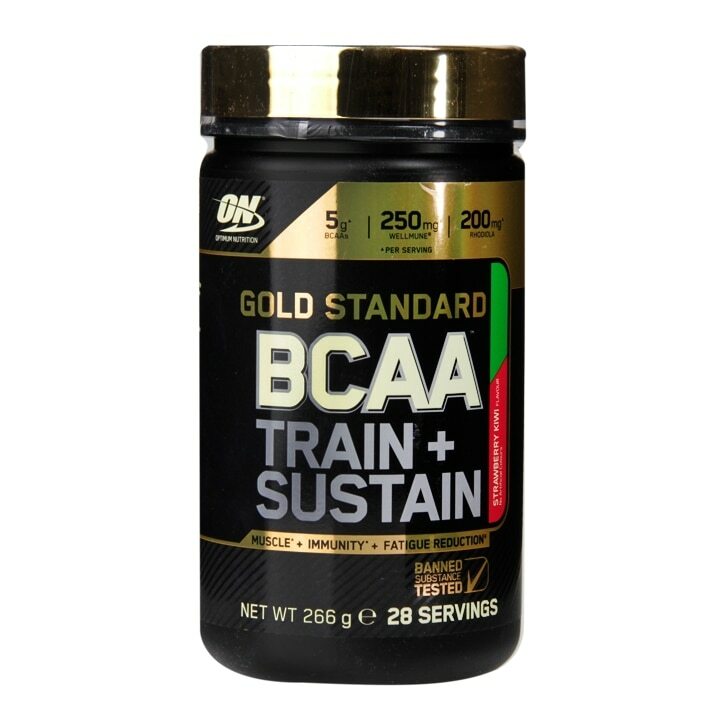 I bought this two weeks ago (my first time trying any BCAA product) and use it 5x a week in the morning during my gym session. The flavour is great, I have more energy at the gym (can lift more) and in addition, I feel my recover time has increased. I Will be buying again!